Stoke Gifford Retirement Village is a striking new retirement village and the first ExtraCare Charitable Trust village to be built in Bristol. The Village will be open to residents in the Autumn 2018, comprising of 261 independent living apartments, arranged around an inspirational and informal village centre with facilities providing leisure and social opportunities for local older people. Join us in delivering a domiciliary care service to residents living in the village ALL UNDER ONE ROOF! Domiciliary Personal Support Assistants (DAYS) – 24 hours, 20 hours & zero hours per week available (hours may increase with business growth) – £8.54 per hour – an NVQ/QCF Level 2 in Health & Social Care qualification is required. 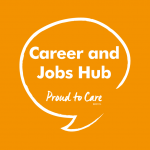 Domiciliary Personal Support Assistants (NIGHTS) – 18 hours or 27 hours per week, £9.05 per hour (including a 50p per hour night allowance)- an NVQ/QCF Level 2 in Health & Social Care qualification is required for this post. Please note that there will be no on site parking available on the day.